Cycling Scotland is the nation’s cycling organisation. Working with others, we help create and deliver opportunities and an environment so anyone anywhere in Scotland can cycle easily and safely. 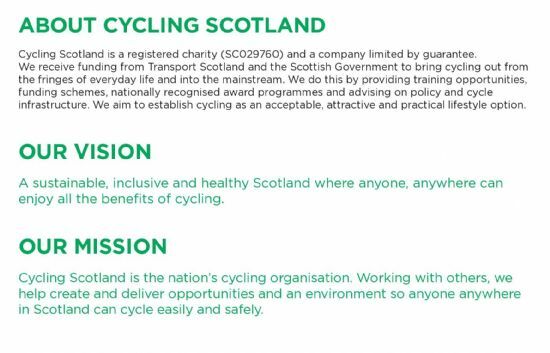 Cycling Scotland is a registered charity (SC029760).